Hunt Much? If so, I have a hunting cabin for you! 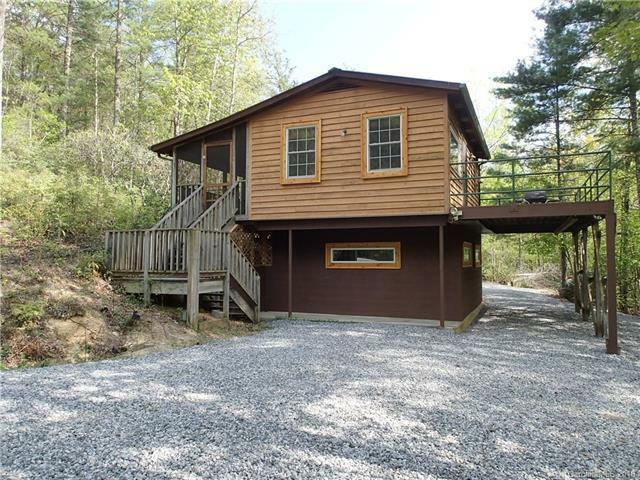 At 418 square feet, this cabin with a basement on 14.86 acres is in a wonderful location between Blowing Rock and Lenoir, NC. Gorgeous wood interior! Gas log fireplace! Full Bath! Full Kitchen! Screened porch and a large deck for viewing nature at its best. The double door basement allows for drive-in entry of an ATV or other outdoor vehicles. The hiking trails with multiple footbridges are bordered with rhododendron and laurel. The property is accessed via a gated entrance and gravel drive and is also located roughly a mile from 6,600 acres of NC Gamelands. The in-ground loading area makes loading your ATV's effortless.